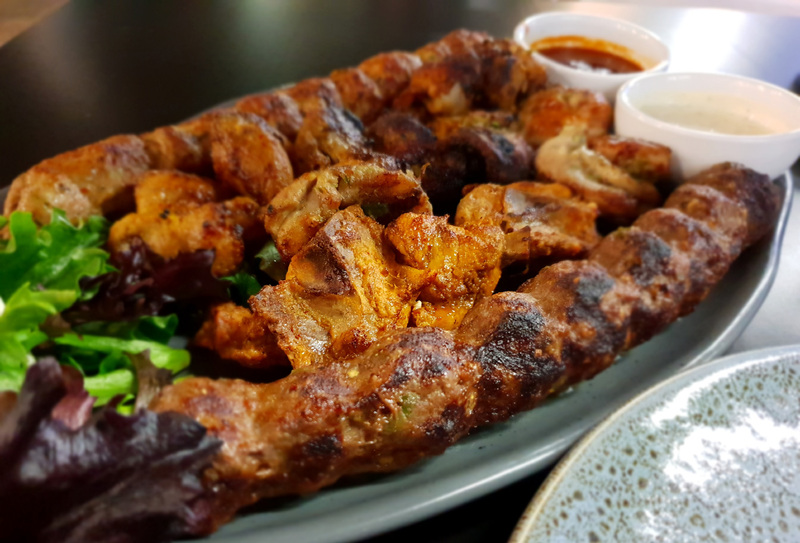 Bar B Q Tonight specialises in authentic Pakistani dishes with a no-nonsense approach serving it up homestyle prepared on their smokey charcoal pit. They have been open since March 2018 but I have only come to know of this place just recently. Hubby and I dined outside for the romantic feels under the tungsten lights and enjoyed what is left of the dry season. We opted for the share platter for two which consisted of Chicken Tikka Boti, Malai Tikka, Achari Tikka, Seekh Kebab, Reshmi Kebab, Roghni and Garlic Naan and a traditional gravy side of your choosing. We choose the Punjabi Korma. Chicken Tikka Boti – Succulent pieces of chicken on the bone marinated in a paste of red chillies, ginger and garlic. Malai Tikka – Delectable boneless chicken pieces marinated in a creamy herb paste with a touch of cardamom. All three individually had their unique flavour profile packed with spices and their marinating process is on point, resulting in a satisfactory charring and caramelisation. Impressive effort in evenly cooking all the protein whilst retaining the yummy juices. 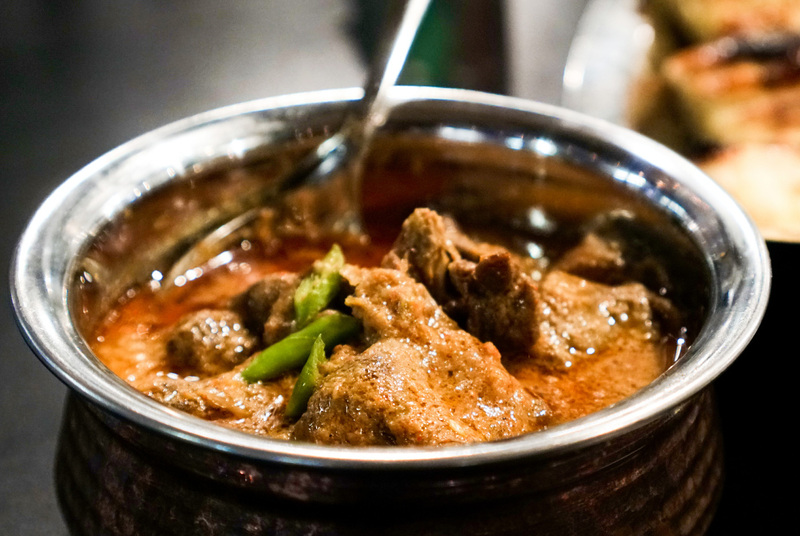 The Punjabi Korma – Goat pieces marinated in yoghurt, traditional herbs and spices and sautéed with fried onions was a standout. Light yet flavorful and the meat so tender that it breaks apart with little effort. The korma gravy was moreish with the naan bread heavily used to soak up the gravy, hand over the recipe please! Seekh Kebab – traditional minced beef flavoured with South East Asian spices prepared on skewers. Reshmi Kebab – minced chicken marinated with green chillies, coriander, onion and spices prepared on skewers. I have never been a real fan of kebabs as they lacked in flavour or heavily salted and are very dry, so I went in with low expectations. Hand on heart best kebabs to date, especially the Seekh Kebab, it had a real balanced flavour journey topped with raita. First initial bite tasted okay, but the more I sank my teeth into it, the spices and textures initiated my taste buds into a Melbourne shuffle. Layers upon layers of spices are used but executed nicely. 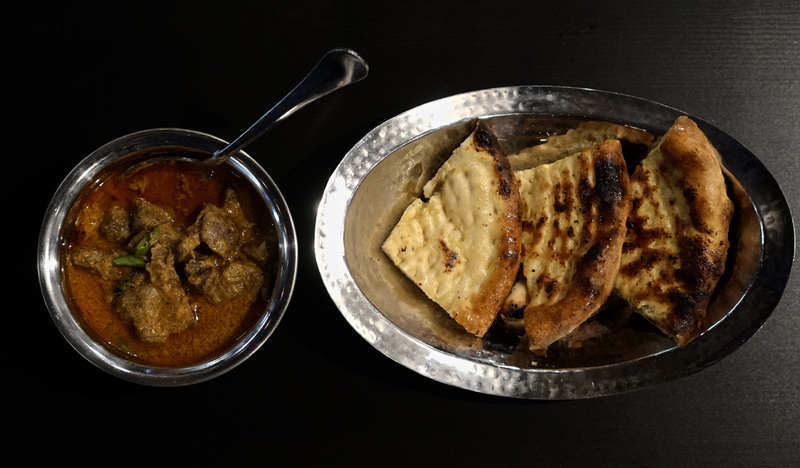 As for the naan breads, they were top notch fluffy on the inside and a soft crunchy exterior finished with a nice light charring, super tasty, legit Netflix snacking material. The restaurant could do with playing soft background music to create some ambience, but other than that, my first Pakistani food experience was delicious and exceeded all expectations. Owner, Ali, is looking into at having a buffet night to showcase Bar.B.Q Tonight’s dishes. When that day comes, I will be there to continue my Pakistani food journey.